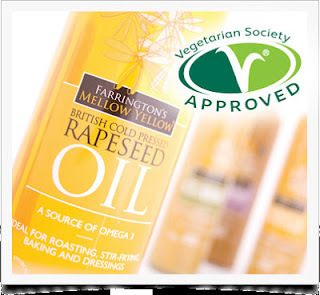 Farrington Oils, the UK’s original seed-to-bottle producer of cold pressed rapeseed oil, has received accreditation for its entire range of Farrington’s MELLOW YELLOW ® oil, dressings and mayonnaise products, including the new garlic mayonnaise and chilli oil. “We are delighted to receive the accreditation as it fits with our company philosophy of producing healthy, quality British products that customers appreciate,” says Duncan Farrington. “We take great pride in the fact that our range is all home-grown to the highest standards and completely additive free”. Produced on the Farrington’s family farm to high environmental standards under LEAF Marque accreditation, Mellow Yellow is a versatile range with naturally impressive nutritional qualities. 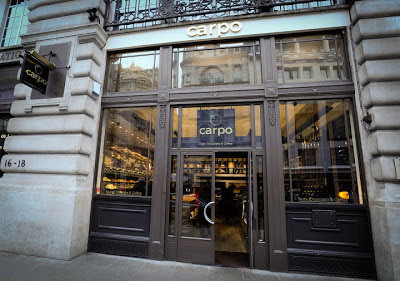 Located at 16 Piccadilly, Carpo is unlike other luxury food vendors in that it takes its customer journey a step further, immersing shoppers in the flavours, smells and sounds of the products and countries where they come from, giving a complete sensory experience. Its extensive range stretches from popular favourites such as pistachios, peanuts and almonds, to the less familiar like whole sweet preserved lemons, goji berries and dried kiwi fruits. 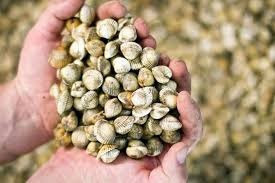 While the raw materials are from far and wide, much of the process and production required to get many of the ingredients from nature to the shop floor takes place here, and many products are straight from the oven to the shelf. As Brighton Festival 2013 enjoys its final weekend Terre à Terre, Brighton’s celebrated Vegetarian Restaurant considers the unique lunch they hosted for Guest Director Michael Rosen alongside patrons of the festival and the artistic team earlier in the Month. 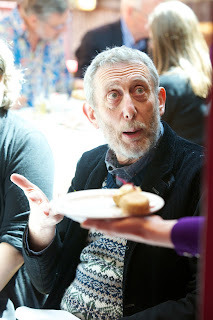 The sun came out on Sunday the 12th of May to ensure that all invited guests; patrons, artistic team and festival organisers could enjoy a joyful, relaxed ‘Bear Hunt & Chocolate Cake ’ themed grown up lunch with Guest Director Michael Rosen. A sunny event where they could meet and greet each other and share experiences and expectations of the festivals fun filled programme. Spreading The Udder Love At Reading, Glastonbury, Download And Many More! This summer, Shaken Udder's fresh tasty milkshakes will be ready and raring to refresh party goers and soothe sore heads at festivals right up and down the country. From Download and Glastonbury in June to Latitude in July and Camp Bestival, V Fest and Reading in August - the Shaken Udder milkshake stand is one not to be missed. 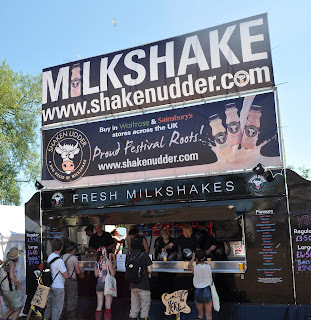 Shaken Udder began its life as a festival regular back in 2004, bringing fresh, tasty and healthy milkshakes to music and milkshake lovers across the country. Using fresh, cold whole milk and mixing it with delicious ingredients like bright strawberries, chocolate, coffee and even ice cream, chocolate bars and sweets is what makes people visit the Shaken Udder Milkshake wagon time and time again. 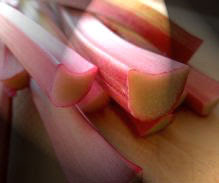 Rhubarb is very abundant this time of year so it is easy to get hold off and you can do lots more than just making pies and crumbles with it. Now this recipe is one that is nice and spicy for chutney kind of dip, but you do not have to make it like this you can use other spices all depending on what you like. Hot or cold it goes well with cheese, oily fish and any strong flavours. The sharp rhubarb cuts threw and provides a balance. Like all good chutneys you need time and a low heat for the best result so take your time, but not this time you can make this in about 15 to 20 minutes. 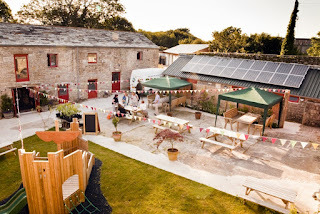 During English Wine Week (Saturday 25th May to Sunday 2nd June), a visit to new Cornish winery Knightor is a must. Unique to Cornwall in concept, and relatively new to England on the whole, Knightor takes a 'New World' approach found in countries such as Australia and New Zealand of successfully marrying wine tours and tastings with a first class restaurant. In addition, to celebrate English Wine Week, Knightor is offering a wide range of English wines from other leading producers nationwide, including Camel Valley, Sharpham and Nyetimber, to try. It, therefore, provides a rare opportunity to taste a selection of English wines at one time in one place. The wines are available in tasting measures from a state of the art wine dispenser which serves wine in a perfect condition and at the correct temperature. A number of special food and wine dinners and tours will be taking place during English Wine Week from Thursday to Sunday. 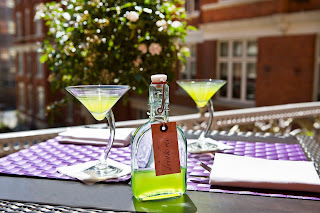 Taste Me, Hug Me, Kiss Me, Buzz Me... the new Drink Me range of cocktails perfect for sharing are now being served on the Caxton Terrace at St Ermin’s Hotel, SW1.Freshly made to order by the Caxton mixology team, each fruity Drink Me is for two to enjoy at £16 per bottle. www.caxtongrill.co.uk. A pretty al fresco space, overlooking the hotel’s courtyard garden, the Caxton Terrace has now opened for London’s Summer season. As well as the Drink Me range of cocktails Executive Chef Sylvan Chevereau has developed a series of Caxton Bite boxes for informal lunches, snacks and pre-theatre suppers alongside a range of other light fare. Perfect for sharing, the Bite boxes offer spicy tastes of the Middle East (SPICE £15) the best of European charcuterie (MEAT, £18, Caxton Mediterranean favourites (CAXTON £15) or the SEA which offers lobster club sandwich, crayfish cocktail, smoked salmon with apple caviar, dill crème fraiche, grilled, peeled king prawns and toasted rye bread for £20. Hollow Shore Oysters with Green Tabasco Jelly, Estuary Smoked Kipper with Clarence Court Egg and Cress, Pike and Green Peppercorn Sausage with Puy Lentils. Chargrilled Jack Pike with Oyster Sour Cream Roast Duck with Pickled Gooseberry. Following last year's patriotic 'Rule Britannia summer', 2013 promises to be more 'Cool Britannia' and with gin firmly back on the lips of discerning drinkers, what could be cooler than a refreshing G&T, cooling gin cocktail or ginspirational dessert to serve up to family and friends. 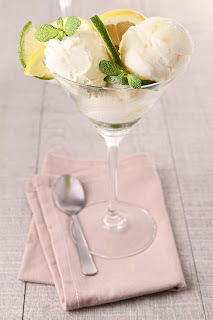 The trio behind the luxury brand Martin Miller's has developed a zesty G&T sorbet for barbecue season, guaranteed to add some zing and take the quintessentially British classic one step further. Pie maker The Pie Kitchen of Bury St Edmunds has fought off stiff competition with their Chicken, Chantenay Carrot and Bacon Pie and been crowned Supreme Champion at the annual British Pie Awards, which took place in Melton Mowbray on 24th April 2013. Organised and hosted by the Melton Mowbray Pork Pie Association, the awards broke all records this year as a staggering 983 pies were entered from across the UK. Judged by over one hundred pie experts – including top food critic Charles Campion, TV chef Rachel Green and BBC sports commentator and Borough of Melton resident Jonathan Agnew – the pies were submitted in 20 classes in total. These ranged from dessert pies, to pub pies, to pork pies; and the criteria for judging covered many top pie attributes such as appearance, texture, and taste of both pastry and filling. 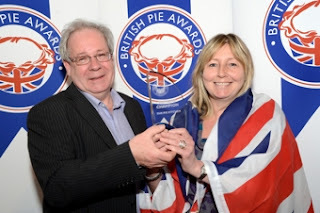 The Pie Kitchen received their award at the all new Pie Lunch for the awards – which takes place the day following the judging day. 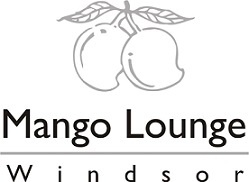 The name Mango Lounge has become synonymous with deliciously spiced, traditional as well as contemporary Indian food. This well-known restaurant has also been consistently winning awards over the last four years, and the latest one presented on Wednesday, 10th April, was the coveted Cobra Good Curry Award, which is a highly respected body in the industry handing out awards to deserving restaurants up and down the country. This award is sponsored by the famous Cobra beer which has been specially formulated to complement Indian food and is among the most popular. The founder of Cobra Good Curry Award, Pat Chapman, has long been known as the 'Curry King' for his passion and insatiable appetite for Indian food. Following a comprehensive year-long project, London brewer Fuller, Smith & Turner (Fuller's) has unveiled a completely new design for its Premium Bottled Ales portfolio. Ian Bray, Managing Director of The Fuller's Beer Company said: "The very first new-look bottles of London Pride came off the line recently and are beginning to make their way out into the trade. We think they look fantastic and our customers and consumers should begin to see them appear on the shelves of supermarkets, off licences and pubs by early May.